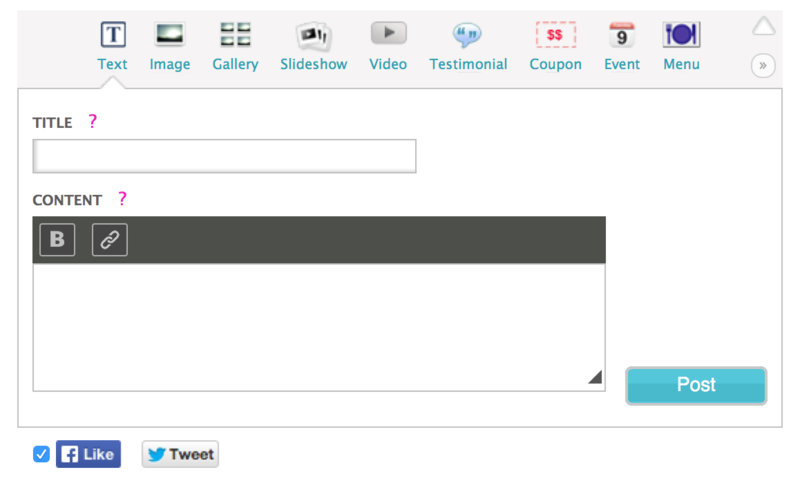 To remove the "Like" and "Tweet" icons from individual content posts use the check-box within the content editor. In addition, you can remove all "Like" and "Tweet" icons from within the Dashboard. Simply click “edit” next to to site name, then look for the option “Show social sharing tools by default” and uncheck that box. Click Save. - These social sharing tools encourage site visitors to share information with others and allow site owners to easily share content on their own social profiles. These icons can help drive local traffic to the site and is recommended. - You can choose to remove all "Like" and "Tweet" icons from all post from within your Dashboard.From the Dashboard, click “edit” next to this site. Look for the option “Show social sharing tools by default” and uncheck that box. Be sure to click Save.